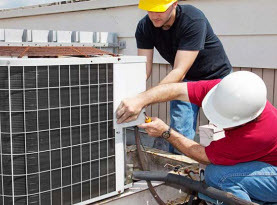 Ambient Heating and Air Conditioning provides full HVAC system services to residential homes and commercial businesses throughout Hampshire and Hamden County, Massachusetts. 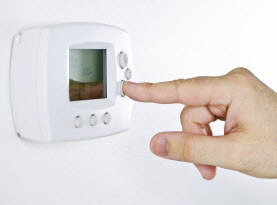 Since 2003, Ambient Heating and Air Conditioning has been fully insured, licensed, and certified to dispense to our valued customers high moral standards, family-friendly customer service, and superior execution on all services rendered. 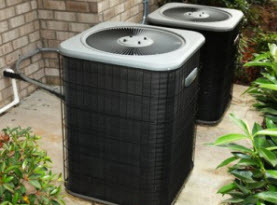 Taking advantage of exclusive top grade equipment, tools, and products, Ambient Heating and Air Conditioning technician’s expertise and skills are enhanced to ensure premium quality workmanship. A part of smooth and efficiently running HVAC system year round comes from regular inspections, maintenance, and repairs delivered by professionals from Ambient Heating and Air Conditioning. Ambient Heating and Air Conditioning offers comprehensive HVAC system inspection to contribute to your HVAC system performance. Ambient Heating and Air Conditioning HVAC system inspection is a thorough and meticulous inspection intended on discovering any inefficiencies, damages, excessive wear and tear, and energy inefficiencies to help our valued commercial and residential customers across Hampshire and Hamden County, Massachusetts to have a smoothly operating, high energy efficient, and effective HVAC system all year long. –	The blower compartment, burner and/or compressor functions, heat exchanger and/or the condenser coils are meticulously inspected for any signs of wear and tear, damage, and debris. –	Fan motors and limited control, along with airflow are tested and checked. –	Bearings are looked over for proper lubrication. –	Air filters are replaced. –	A complete diagnostic and assessment of parts and components are conducted. –	Complete wiring connection undergoes and in depth inspection check. –	Refrigerant pressure and levels are checked. –	Adequate equipment clearance, conditions, and areas are ensured. –	Evaporator coils are inspected. –	System operation performance check. –	Safety controls and features are inspected for efficiency. –	Condensation drains are searched and cleared of obstructions. –	Heat modes, heat exchanger, auxiliary heat operation, and defrost cycle are all inspected. –	Burner and ignition assembly. –	Proper ventilation and vent clearance. –	Gas pressure and piping are inspected. –	Ductwork and zoning are inspected for adequacy. –	Indoor air quality is checked. 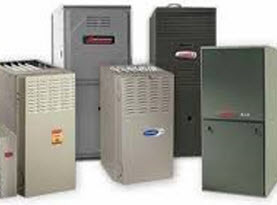 Investing in obtaining for your home or business in Hampshire and Hamden County, Massachusetts, an HVAC system inspection from Ambient Heating and Air Conditioning is extremely beneficial. Just some of the benefits have been listed below. 1. Ambient Heating and Air Conditioning experts assess the cleanliness as well as the structural integrity of your HVAC system, which contributes to peak performance and smooth operation. 2. We search for obstructions, excessive moisture and microbial contamination in the HVAC system to determine the indoor air quality. With this we can help get your indoor quality at maximum levels. 3. During the in depth inspection, need replacement parts and repairs can be done to prevent major problems down the line. 4. Find solutions if the energy audit reveals you are spending far too much needlessly on your utility bills. Commercial businesses and residential homes in Hampshire and Hamden County, Massachusetts should have their HVAC systems inspected annually by Ambient Heating and Air Conditioning to reap the benefits and better care for your HVAC system. Call us today to schedule your comprehensive HVAC system inspection.